She's been missing for nearly a month. 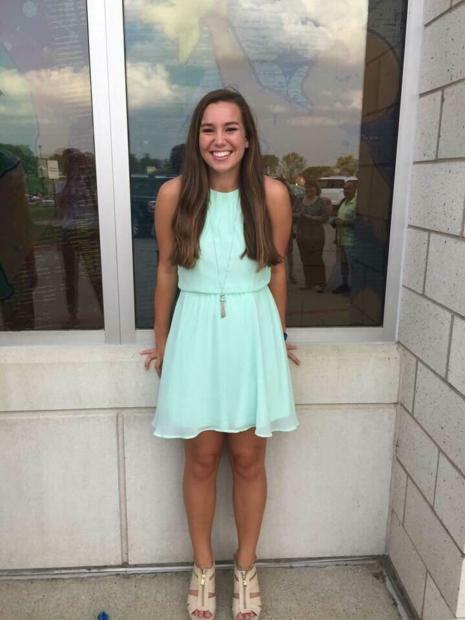 Mollie Tibbetts has been missing for four weeks and new information might point to a suspect who is "hiding in plain sight." The 20-year-old Iowa college student was last seen on July 18 before she vanished without a trace. Police have followed hundreds of leads but have yet to follow one to Mollie, but it is believed she was kidnaped by someone she knew who is inserting himself into the investigation. A source close to the FBI told Radar Online that authorities believe Mollie's abductor is hiding in plain sight and even attended a vigil held for the missing student. 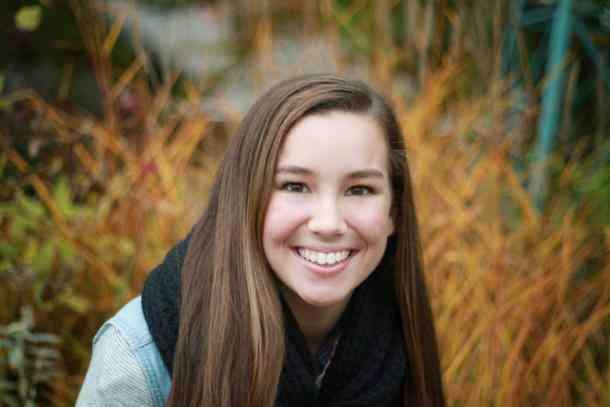 “There is reason to believe the person responsible for Mollie’s disappearance attended a vigil and has continued to closely follow the case," the source said. Few details have been made public about Mollie's disappearance and suspects are kept from the public as law enforcement does not want to jeopardize the case. Although authorities believe she is still alive, she may have been hurt by whoever is holding her captive. Mollie's father, Rob Tibbetts, theorized that the person Mollie is with had no intent to hurt her. “I just don’t think that anyone set out to harm Mollie,” Rob told Fox News. “And the longer we go without finding her, the more optimistic we are that she is with someone that doesn’t want to harm her but doesn’t know how to extricate themselves from this situation." Rob agrees that his daughter is not likely with a stranger. "It's total speculation on my part, but I think Mollie is with someone that she knows, that is in over their head," he told Fox News. "That there was some kind of misunderstanding about the nature of their relationship and at this point, they don't know how to get out from under this." No suspects have been named in Mollie's case, although investigators have interviewed over 500 people in their search for the missing student. But a new report regarding a Facebook page set up to allow the public to contribute to the case may indicate that authorities are narrowing down the search. WHO-TV reports that the website, findingmollie.iowa.gov, has had an overwhelming amount of tips pour in. So many, in fact, that a second server was needed to handle the 1,500 tips it received. “There’s been a lot of activity, to the point where the administration office for the State of Iowa had to get another server to handle the volume,” Mortvedt said. Investigators are asking the public for help and urging people to report any people who showed any behavioral changes around the time she went missing from her boyfriend's Brooklyn home. “Oftentimes, members of the community have information of value but do not come forward because of concerns that it may not be important or may be information law enforcement already has," the website reads, adding that every tiny bit of information could be useful. The website also released a map with five areas of focus, including a Travel Centers of America truck stop and a D&M car wash in Brooklyn. The site did not provide a reason as to why these spots were areas of interest. "We haven't lost hope. We continue to strive to bring her back home safely. We are not frustrated," said Rick Rahn, special agent in charge at the Iowa Division of Criminal Investigation. "We just are diligent, and we'll continue to do so." Sarah Gangraw is a travel-addicted cat lady who lives on black coffee and cheese. She has a degree in journalism and writes about all things news, entertainment and crime. You can follow her on Instagram and Twitter — she's occasionally funny.